Regardless of the type of culture media you are using, cells harvested at maximum density to seed a new culture often experience a significant lag in growth before they resume normal division rates. The most likely reason for this is that when harvested, the cells were entering the stationary phase and so take a little more time to recover. This can be an issue if you wish to use the cells in immediate experiments. There is also the ill-defined role of any growth factors produced by the cells that aid their multiplication. This is a vague topic that hasn’t ever been addressed with any rigour. However, what we do observe, particularly in suspension cultures, is that Sf9 cells diluted to less than our recommended number/ml can struggle to grow. This doesn’t seem to apply if you grow cells in the presence of serum. 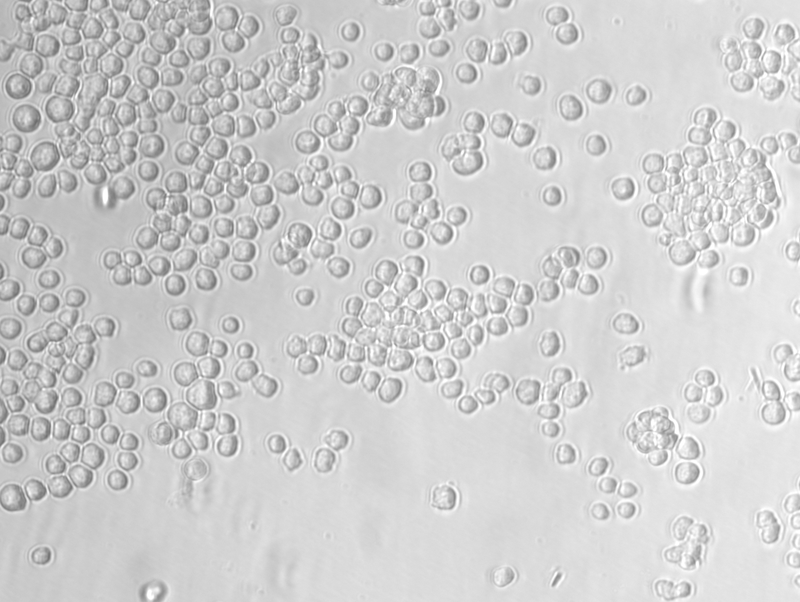 We routinely propagate Sf21 cells (the parental line for Sf9) in such medium and they can be diluted to less than 105 cells/ml with perfect recovery.